From the award winning creators of Flick Fishing comes a full blown update! I used to love playing Flick Fishing and since that went down I discovered that you guys made this!! Excellent game and so much fun! The difficulty makes it extremely fun and addictive. Keep the fish comin!!!! The original was amazing, but this is outstanding! I am overwhelmed that I was able to find a game that could be so addicting and I love this! • New for V1.3 FishNet! Create or join a FishNet with your friends anywhere in the world and play against each other online. FishNet Teams let you join together to play against everyone else! • Fish in 11 gorgeous living 3D locations for 34 different kinds of fish and unlock them to show off in your virtual aquarium! • Take it easy, kick back and just fish in each spot or see if you can win trophies in competition modes. Or take on a quest that will carry you around the island in search of rare fish and treasure! • Boost your fishing skills by unlocking different gizmos, fish charms, rods and reels. Choose the right bait and see if you can catch one of the super rare and very large, named fish that hides in each spot. • What about fishing with your friends? Join in a multiplayer game of Flick Fishing playing on your Apple TV, Mac, iPhone or iPad over your local network. • Vs CPU, Multiplayer network or turn based competition modes. If you play turned based competitions in network mode you can even play team vs team! • MFi Controllers and iCloud game save supported. 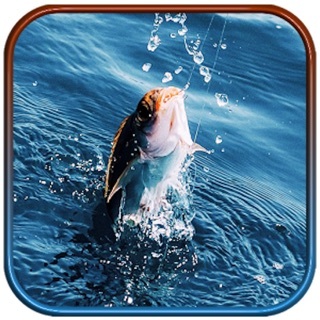 • As with all Strange Flavour's Apple TV games, Flick Fishing is Universal Purchase, so buying either the Apple TV or iOS version lets you download both. *Network play with AppleTV version with Flick Fishing on AppleTV or macOS! Some bug fixes to sort out the new fish in the Aquarium. It's been nearly 10 years since I first stumbled upon Flick Fishing. It's crazy to think about to be completely honest... it hit pretty hard in my gut when the game was pulled from the store shelves, really sucked tbh, the original wouldn't even load anymore. But then a few years later, Fast Fishing arrived. I was under the assumption that it was just another clone like all the others, however it was under a familiar publisher name. I then thought maybe someone bought the name out and was reviving the corpse in the worst way possible. Got me bothered and never touched that again just based off morale. However, not long later, I saw Fish! (Now Flick Fishing Redux). This sparked my curiosity, so I looked into it. Turns out. This is pretty much a brand new Flick Fishing, made by the same guys. This app really brings back memories. Still very difficult, but just as fun. Definetly got the pizzaz of the old game. If you've got the time, give it a try. We're just going to quietly forget about Fast Fishing ;) (except possibly as a future game mode for Flick Fishing) and focus on seeing if we can keep Flick Fishing going for another 10 years! I’m glad to see this game come back, but there’s room for lots of improvement. There’s no instructions to explain the overall game i.e. types of gems and how to combine them, what the different rods and reels do. 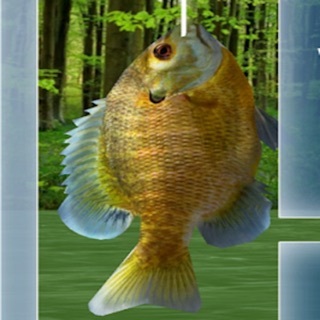 I find the fish guide upgrade to be worthless in that you have to do a lot of work to catch a lot of the different fish for an upgrade that by the time you can upgrade, you already know the fish available in the pond and the bait needed. Also, it’s not accurate - I was able to catch all the fish in the pond without using the bait shown in the guide. I feel the biggest flaw of the game is the amount of time it takes to catch some of the bigger fish - it’s taken anywhere between 1/2 - 1 hour despite using the gems and rods...this makes the game annoying and not worth playing...esp when the fish you spent a long time catching isn’t even a record. I’m not seeing any benefit to upgrading the rods or reels or using the gems. It’s not clear the use of the gems- at one point I caught at least one or two in each category and now they’re gone. All of this makes the game very frustrating to play and often not worth while. Glad you're (still) enjoying it! The next update is the AppleTV version, which will then be in sync with the iOS version (and able to play network multiplayer). After that, updates will depend on how well the game is selling, so tell your friends!